This forum is dedicated to the discussion and research of animation and ANIM files only. Please follow the discussions here. Replies: 15 (Who? ), Viewed: 4576 times. I was trying to make an animation for an old project, but something got broken between its creation in milkshape and exporting it to the game. This is it in milkshape and in the game. I put the animation into a painting so it's not an issue with the slots. I'm not sure where things are going wrong. I didn't move the entire mesh, just rotated the arms a bit as a test. #2 25th Oct 2018 at 9:55 PM Last edited by simmer22 : 27th Oct 2018 at 11:47 AM. You've probably messed with the bones, and possibly moved/rotated the wrong bones. You should remake the pose, because fixing it is going to be more difficult than remaking, since you don't know where things went wrong. * ALWAYS use LOCAL rotation with "Center of Mass" selected on ALL the bones (EXCEPT "Root_Trans"). Make absolutely sure you've set this correctly before you start making the pose. * Never MOVE bones EXCEPT "Root_Trans". * If you want to rotate the entire pose, use "Root_Rot". * DON'T move/rotate the "Auskel" joint. * Before you export the pose, do "Edit --> Select all" and "Animate --> set keyframe"
* Export the pose while in ANIM mode. * ALWAYS use the Joints menu to select the joints you want to work on (double-click the joint in the list). * Avoid rotating more than one joint at a time. * If you need to turn off the Anim mode, ALWAYS do "Edit --> Select all" and "Animate --> set keyframe" first, or you'll lose progress. * ALWAYS turn off ANIM mode if you want to save the file as a Milkshape file (nice to have if you need to do changes to the pose later). Poses can sometimes look perfectly fine in Milkshape but have issues ingame. I noticed this first when I made my first batch of poses a while ago. I hadn't figured out local rotation needed to be on for all the bones. If you accidentally move the Root_Rot joint or rotate the Root_Trans, placement issues can also happen. Nowadays I triple check that everything is set properly before I do anything, and if I notice I've messed something up, I usually start over. I also make sure to only use the Joints menu, and never select joints in the windows, because it's very easy to accidentally select the wrong joint if you mark them. Thanks. I didn't know about the local rotation with Center of Mass thing or exporting while in Anim mode. This time I did not touch the model at all, just opened Dr.Pixel's base mesh and followed the steps to export the animation. This was the result. I am going to try reinstalling milkshape and its plugins. Maybe my copy is damaged. #5 27th Oct 2018 at 9:43 PM Last edited by simmer22 : 27th Oct 2018 at 10:16 PM. Did you export in ANIM mode? Could also be something with the settings in the posebox/painting. Make sure to (before exporting, while in ANIM mode) do "Edit --> select all" and "Animate --> Set Keyframe". The boxes next to the ANIM button should say 0,1,30,30 (I think?) - For simple poses don't worry if the second box is empty (usually is when you open the pose), but I think it may be an issue for animations. While in ANIM mode, export the pose with the "Sims2 AniMesh ANIM Exporter V1.0.1"
Make sure the settings for the export are, in this order: Auskel, 4000, Body Overlay, and Pose. (Blend Name should be empty). That is, start the pose name with "a-" and use only lower-case letters, numbers and regular hyphens "-" in the pose name (not underscores, punctuation, etc.). Not entirely sure if you can use upper-case letters, but I tend to avoid it just in case. For the Anim files, make sure to set them up properly. Import them, go to the "Resource" tab, set to "Animation Resource" in "Type", and "0x1C0532FA" in group. Go back to Plugin View, and click the "Fix TGI" for all the poses. In the Posebox/painting, paste in the names for the poses in the "Anims - Adult" Text List first, before you start the other steps. For the posebox/painting it depends a little on the type of pose and setup (I have yet to figure all of this out), but for regular poses click the " sign and paste in "010020200000030B0081FF0100000010" in the second box in a new BHAV, and then change the first operand to whatever number is in the "Anims - Adult" Text List (00, 01, 02, etc. - you'll see the correct pose in the string of text below the Operands). (Use a tutorial for the entire "how to make a new BHAV"). Make sure to set up Start and Stop poses (or make a Stop all button - I do that, it's much more convenient if you have a lot of poses in the box, and easier to set up since you need only one BHAV resource for it). Also make sure to set up the "Pie Menu Functions" and "Pie Menu Strings" properly. There are several tutorials that explain the exact how-to, and you should consult those - this is by no means a full tutorial (though I do have one here: https://www.tapatalk.com/groups/moo...own-t1635.html). 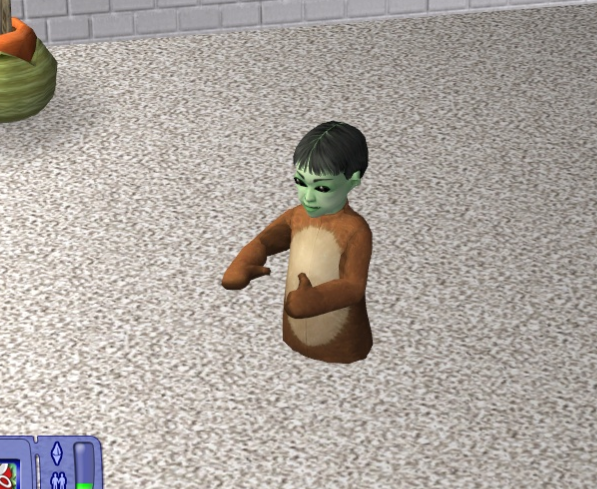 (I did have some minor troubles with the original toddler and child skeleton when I first started making poses, as if some of the bones wouldn't animate properly, so I recently made my own versions of all the posing skeletons - but the issues may just be the fact that I messed around with the rotation settings with my first sets of poses. Other people have been able to make poses without any issues with the original ones. I just really wanted to fix up some minor issues/annoyances I had with them, plus add the missing ages, though the teen versions don't work quite as well as I'd hoped...). Thanks for all the suggestions. This morning I started over with fresh install of milkshape, the body bases and a new package to import the animations into, then I made several test animations. Sometimes the animation works and sometimes they're too low even though the steps I'm taking haven't changed. Since it's working sporadically, I guess that'll have to be good enough for now. #7 28th Oct 2018 at 9:26 PM Last edited by simmer22 : 30th Oct 2018 at 8:24 PM. Still sounds rather weird. Are you sure you're following the exact steps? - Go to "model" tab. Click "Rotate", choose "Center Of Mass" and "Local". - Double-click a joint, and start rotating. Be sure to double-click the joints, not marking them. Keep away from the first one (puskel/auskel, different name for different skeletons I think). 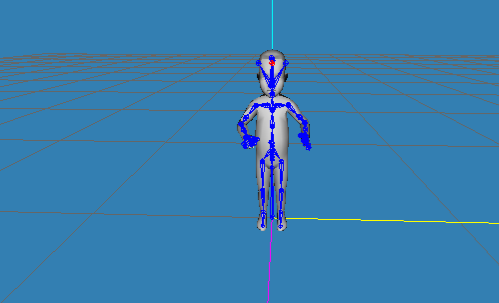 - Double-click the "root_trans" joint, go to "model" tab, click "move", then move the skeleton where you want it. - Double-click another bone, and continue rotating. - Edit --> Select all", then "Animate --> Set Keyframe. - (I posted the instructions for exporting in the above post). I grabbed the attachment (even though it still says 0 downloads). Thanks. I'll try it again with this one tonight. I've been following it step by step, but other people have successfully made animations using these same tools, so something has to be going wrong on my end. Do you have a copy of the posebox/picture and one of the not working poses in Milkshape form? I could take a look. I've been playing around with your mesh, and so far so good! The toddler has stayed above ground, so I'm feeling confident enough to try adding more frames to the animation. If she starts sinking into the floor again, I'll definitely post the milkshape file and the painting. Thanks for the offer. ETA: I am curious to know if this issue with the animations I made with the original mesh happens with someone else too, so I'm going to see if I still have one of the broken MS3D files in my recycling bin and I'll upload it. I had some strange issues with the toddler and child ones, too. Could have been some rotation issues (I had no idea you needed local rotation for all rotation at first - but some poses worked fine, while others had differences in height or arms/hands slightly out of place). I never got that much of a height difference, though. The toddler ones can be very odd. I think that the most accurate ones created are with the adult ones. I have had trouble with them as well. Far more than adult ones. I would suggest if you aren't just making a pose, that you combine it with in game poses and slots as much as possible. (several of mine for instance use a seating in game animation, then use a custom one once they are already seated and in a slot) It seems to be the best way to get around the issues. #13 2nd Nov 2018 at 10:34 PM Last edited by simmer22 : 3rd Nov 2018 at 12:08 AM. Yeah, there were some weird issues with some of the animation bases. I always wondered if some of the rotation was wonky, or if other bones than the hair bones were deactivated.I've also noticed some poses that have a very strange influence on some female pants, in that the thighs arch upward. Not sure if this is a pose issue, skeleton issue or an issue with the bone assignments for the pants, but it's very annoying when it happens. On a few of them, joints or even the body is already selected when you open the file, which may lead to distortions if you're not careful. I think the toddler skeleton is one of those. I'm making a set of new ones, mostly for my own use so I know they're all good - but I can upload if anyone is interested. It's basically the regular skeletons with the naked bodies extracted, and with the hair bones deactivated. I also tinkered a bit with adding in the pregnant female belly for use in pregnancy poses (with bone assignments, not just the morph) but the file got away from me - have to look for it (My project folders are a huge mess). * All ages/genders from toddler and up. * All the mesh parts are hidden, and everything has been deselected, so no chance for accidental moving. * Pregnant bellies with bone assignments (just the belly, for the naked body) for AF/AM. * Head and body are separate (and properly assigned), so you can more easily add in clothes, accessories, etc. * Name changes to all the mesh parts, so there's no chance of accidental OBJ merges (but you may need to rename the mesh before exporting as OBJ when making couple poses). * I did add teen and elder, mostly for the sake of the bodies. TF/M will technically not work and will not quite work ingame because the animations are rescaled adult animations, so don't expect your teen poses to look perfect. Elders can and pronanly should use animations made with the adult skeletons (they'll stoop a little - there's a fix by Bloom somewhere to make them stand upright, let me know if you need the link, I'll have to go looking). * DO NOT use these for making clothes, accessories, etc. They're only for posing, and because bones are deactivated some clothes/hairs/accessories may get issues. From what I understand, it's best to use the AF body for making adult/elder poses if you intend them to work for both genders. #14 3rd Nov 2018 at 3:49 AM Last edited by omglo : 3rd Nov 2018 at 6:58 PM. Thanks for the new bases, Simmer22. I've uploaded one of the broken animation packages and its ms3D file. I used different OP codes in the BHAV than the ones posted in this thread because this was going to be an animation, not a pose. 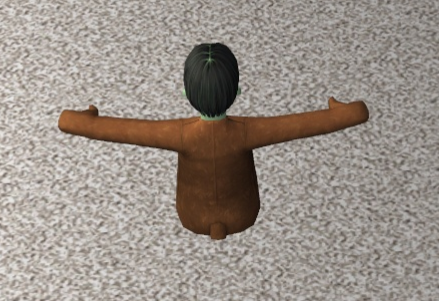 I did try the other OP codes posted, but for some reason, when I used the Animate Overlay primitive with this instead of the Animate Sim primitive, the Sim's legs went all distorted and started flapping around. This animation is not the new one that I've had success with so no one should feel obligated to try and fix it, but if there's some obvious reason why it's broken, I'd love to know. I'm definitely open to recycling in-game animations if it comes to it. Thanks for all the suggestions. #15 3rd Nov 2018 at 5:35 PM Last edited by simmer22 : 3rd Nov 2018 at 7:51 PM. That Milkshape file has several of the bones in the wrong order. The pelvis/legs are usually much further down the list, the hair joints at the end, and the auskel joint should be at the top and (I'm pretty sure should) be named "auskel", not "puskel". So it's probably an issue with the skeleton. The child skeleton also has a weirdly named auskel joint (cuskel). I'm not sure if the renamed auskel joint has something to do with animations, but all those joints for clothes are named "auskel", so maybe it's a latent issue in the original animation files (PU/CU) that potentially causes issues under the wrong conditions? Try and see if it works better with the ones I posted above. Okay, thanks for taking a look at it and for the info about bone names. I've already been using the toddler base you posted a few days ago, and that one has been working perfectly so far. I'm going to make your skeletons my default bases.